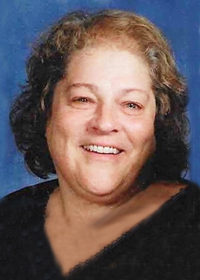 Linda Marlene Dean passed away unexpectedly on Friday, February 8, 2019. Linda was born December 3, 1954 in Des Moines, Iowa to Clarence and LaVonne Dean. She earned her Master’s degree in counseling and worked as a counselor and teacher for Des Moines Area Community College at their Urban and South locations. Her job was her passion and she loved making connections with her students. Every new class was her “favorite” class. She lived to help others. Linda inherited her love of song from her father and mother and was very musically inclined. She was also a writer and enjoyed writing poetry and scripts. Linda enjoyed watching movies and musicals. She was an animal lover and liked following politics. In her free time, she was an active swimmer. Linda faithfully attended New Hope United Methodist Church. She loved the 10:45 a.m. service, and served on their Missions Committee. Linda worked with the puppet troop and wrote the scripts. She also ran the Tri-Met booth at the Iowa State Fair. Linda is survived by her daughters, Gabrielle and Lexi and her many friends who she loved like family. She was preceded in death by her parents, Clarence and LaVonne Dean. Services will be held on Saturday, February 16, 2019 at New Hope United Methodist Church, 4525 Beaver Ave, Des Moines. Visitation will be from 10:00 a.m. to 12:00 p.m., followed by Linda’s funeral service at 12:00 p.m. Interment will take place at Glendale Cemetery in Des Moines at a later date. In loving remembrance of Linda, memorials may be directed to her family.